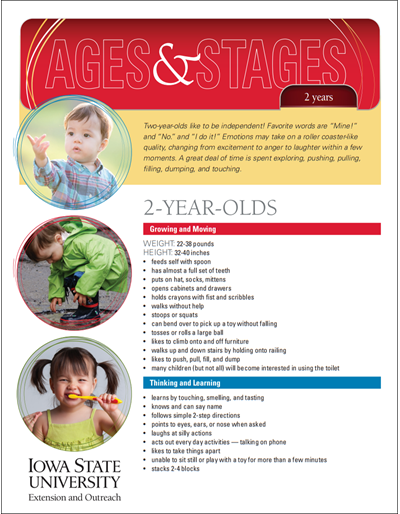 The 3-year-old is full of wonder, and spends a lot of time observing and imitating others. 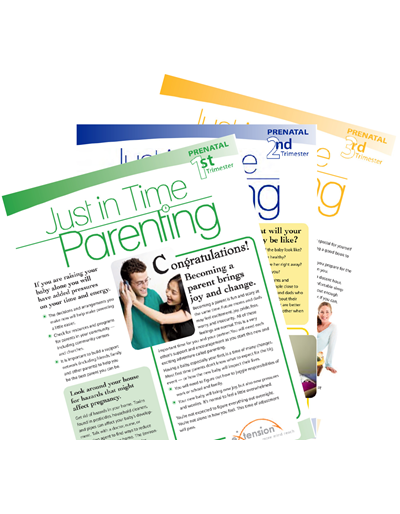 They love to spend time with parents and enjoy helping out with simple household tasks. 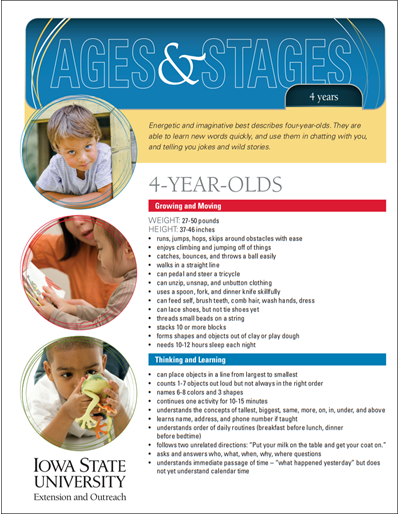 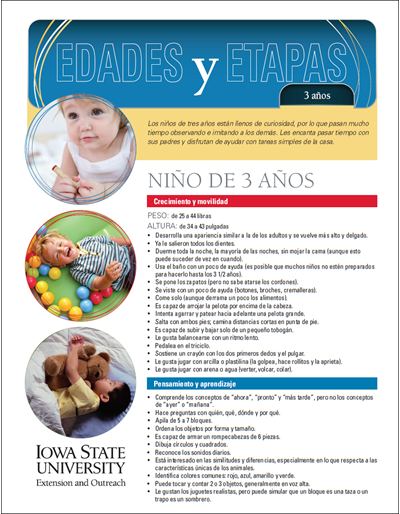 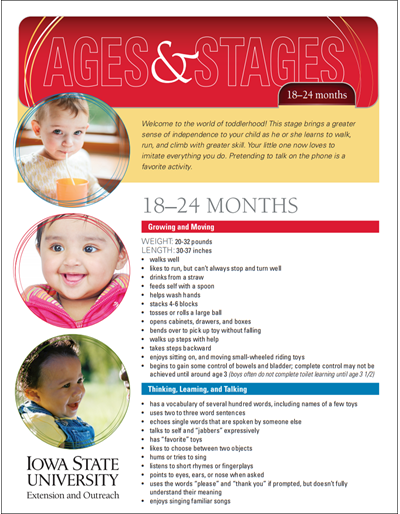 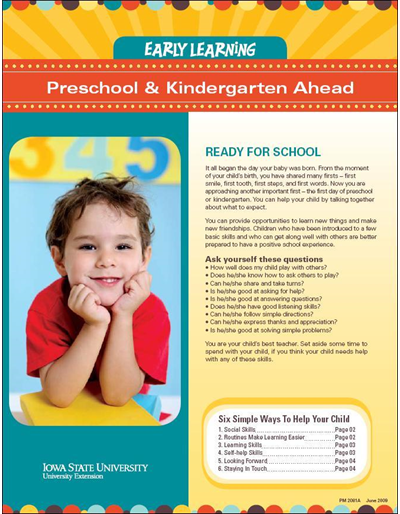 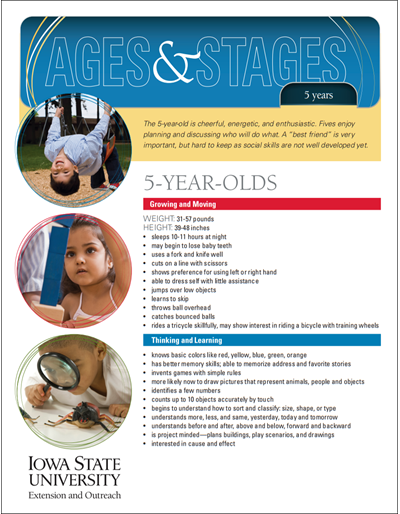 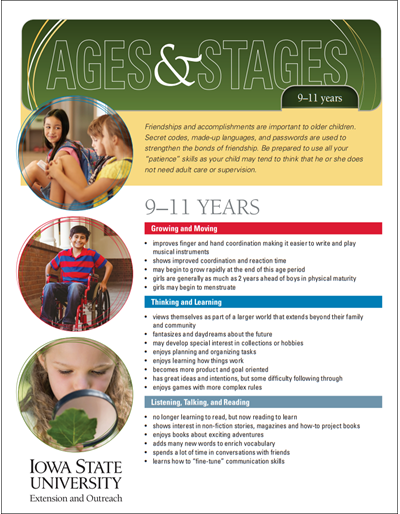 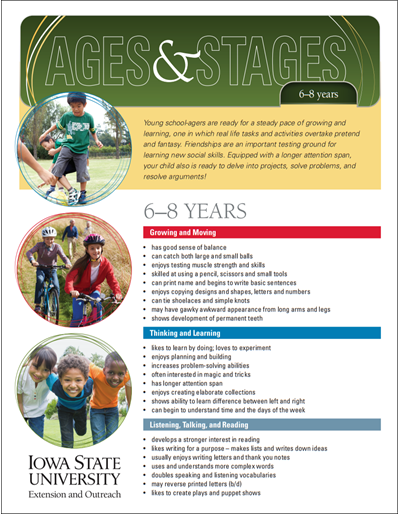 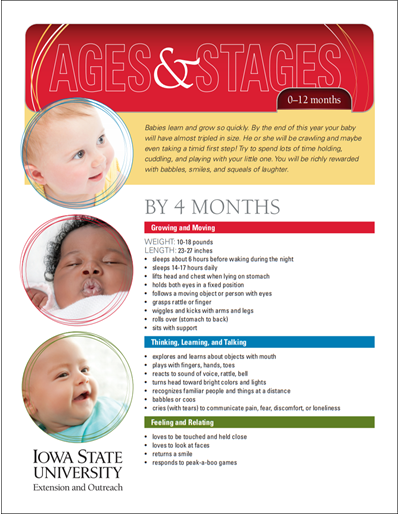 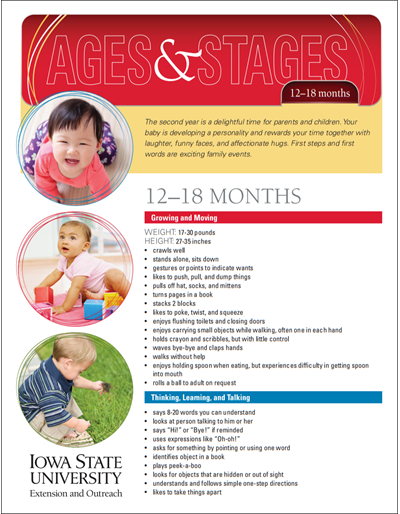 Designed for parents and caregivers, this publication addresses the physical, mental, and social, and emotional development of 3-year-olds. 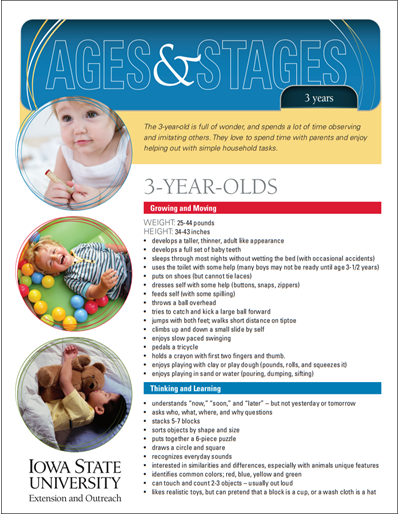 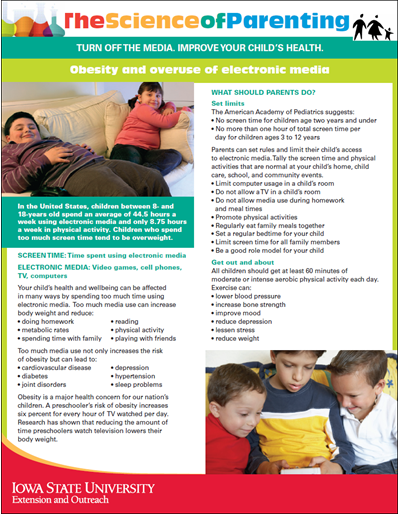 Tips for interacting with children as they grow and lists of age-appropriate toys and books are also included.